Social media gives a big opportunity to brag about yourself. But should you? Erin O’Mara, associate professor and the director of the Graduate Program in General Psychology at the University of Dayton, explains being a braggart might not be the best way to get more friends. 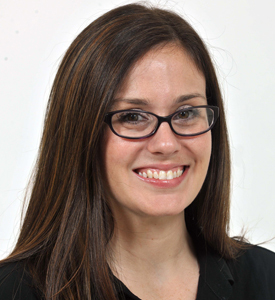 Dr. Erin O’Mara is an associate professor and the director of the Graduate Program in General Psychology. Dr. O’Mara’s program of research broadly focuses on self processes and social perception. She utilizes experimental and longitudinal designs to examine questions related to (a) the association between the motivation for a positive sense of self and individual/interpersonal functioning, and (b) how perceptions of the self and others vary as a function of hormonal changes associated with stress and fertility. “So, tell me about yourself.” This question, though simple to ask, is much more complicated to answer. You might be tempted to answer it by bragging about your abilities — describing the things you’re “the best” at, or something you do “better than most people”. But that kind of self-promotion can backfire. Researchers in the 1980s found people have negative reactions to bragging when there’s no evidence to back up claims. People react more favorably, though, when bragging is supported by evidence. But being modest — saying you’re average at something when the evidence shows you’re actually great at it — makes you the most likable. My colleague, Benjamin Kunz, and I wanted to re-examine if the research from decades ago still holds true among younger generations, who scholars say have higher self-esteem and narcissism. We designed several studies to compare statements someone might make about being a friend or being smart. Next, some participants read a testimonial supporting the claim; some read a testimonial proving it inaccurate; and some received no additional information. Then, they were told the person making the statement was ranked first among their class; ranked in the middle; or they received no evidence. You might expect that we’d find a shift in how people perceive self-promotional claims because self-promotion has become ubiquitous on social media. But in reality, our studies confirmed what researchers found 30 years ago: A person claiming to be average when the evidence shows they’re superior is liked the best. In other words, modesty is still the best policy.